They celebrated the nation's birthday where it all began: on Independence Mall. INDEPENDENCE MALL (WPVI) -- They celebrated the nation's birthday where it all began: on Independence Mall. The patriotism was palpable as 15 year-old Bobby Hill, who rose to fame during the papal visit, sang The Star-spangled Banner, kicking off the Celebration of Freedom ceremony at Independence Hall. 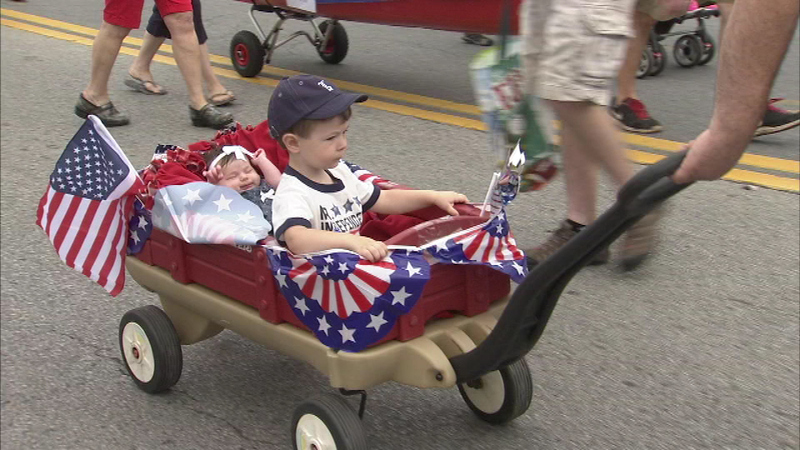 Hundreds lined the lawn for America's birthday celebration. They read excerpts from the Declaration of Independence. It was all a fitting prelude to the annual Independence Day Parade.